We serve all of Western New York. Events with a distance further than 1 hour from Niagara Falls, NY may incur a nominal travel charge. Definitely! Our contract outlines and highlights our obligation to you and your event. If you'd like to see it prior to booking, we'll be glad to send you a copy. Can we meet with you in person before we decide? Yes! Face to face consultations are always the best. We understand distance and schedules may not always work out, so you can always reach us by email, phone, or Skype! Can we make payments in installments? Absolutely! Your retainer payment is 1/3rd of the total amount of your event. You're always welcome to pay the remainder over time leading up to your event. Do you perform more than one event in a day? No. 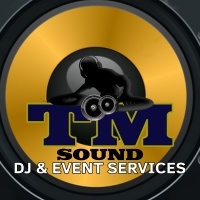 We believe that you should receive the attention needed by your DJ and MC for your event. Song selection is first priority. We will let people know the dance floor is open and carefully read the crowd, choosing the music they love. Yes! Your guests can requests songs before the event online. They can also make requests during the event via their mobile device. Gratuities are welcome but we never expect to receive a tip. The best thing you can do is write a review and recommend us to others. Yes. We'll closely follow your list and avoid any songs or styles of music you'd prefer not to hear at your event.